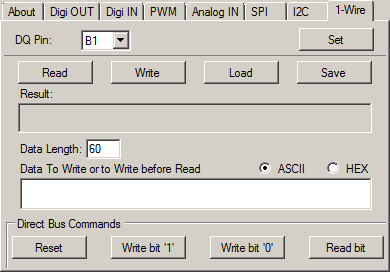 [CWroos] has written an impressive GUI for the Flyfish FF32. The Flyfish is a port expander of sorts, allowing the user access to a large array of I/O , analog inputs, SPI, I2C and a few other connectivity options over a USB connection. There is no driver as it uses a native HID driver in the operating system of the device it’s attached to. It’s not just tethered to a PC either. It works with Raspberry Pi, Beaglebone and several other SBCs. [CWroos]’s GUI makes it easier than ever to interact with the FF32. It has a script editor allowing you to run and edit scripts on the fly (pun intended). It appears he’s actually written his own basic like language for the scripting, which he goes into great detail on his site. There’s a blinky script example, and few more complex examples that will show you how to read temperature and control a servo. There is also the ability to control the hardware directly allowing you to set pins, read firmware version, set the USB address and several other options. If you have an FF32 lying around, be sure to check out [CWroos]’s program and let us know how it works for you. 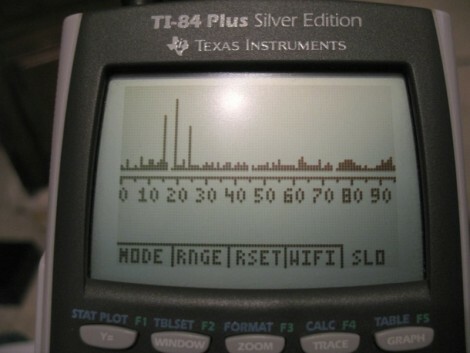 [Michael Vincent] turned his TI-84 Plus into a spectrum analyzer. By running some assembly code on the device the link port can be used as an I2C bus (something we’ll have to keep in mind). After being inspired by the cell phone spectrum analyzer he set out to build a module compatible with the calculator by using an I2C port expander to interface with a radio receiver module. Now he can sniff out signals between 2.400 and 2.495 GHz and display the finds like in the image above.